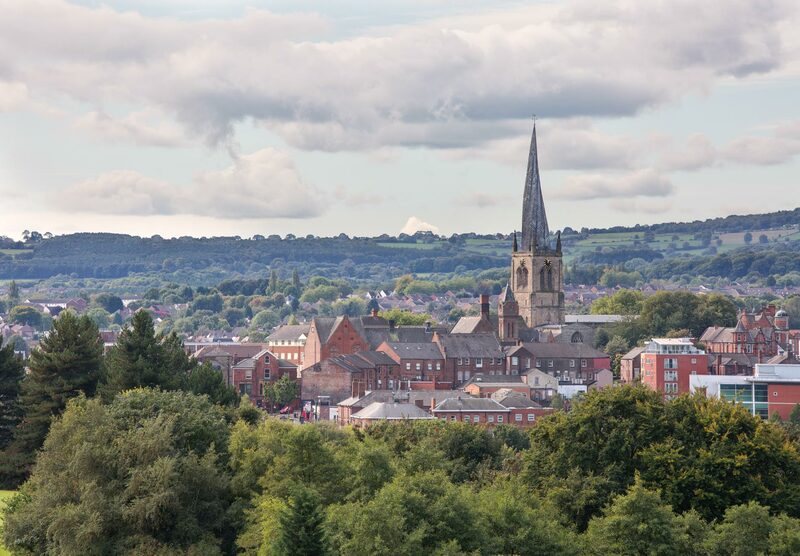 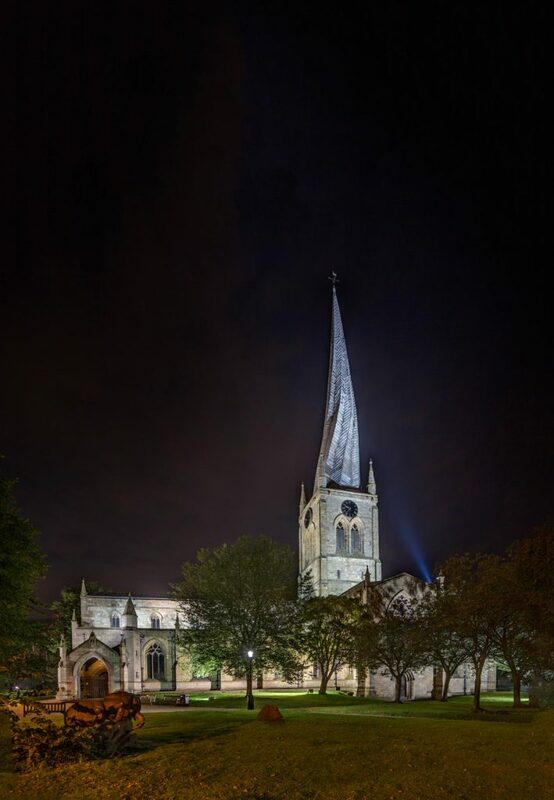 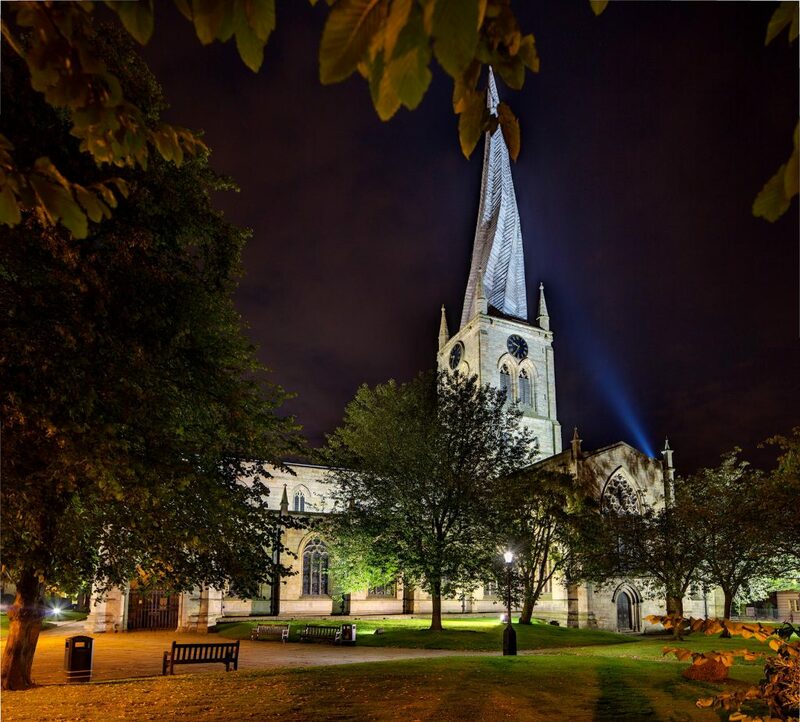 Better known as the Crooked Spire, Chesterfield parish church is a true icon with a fascinating history. 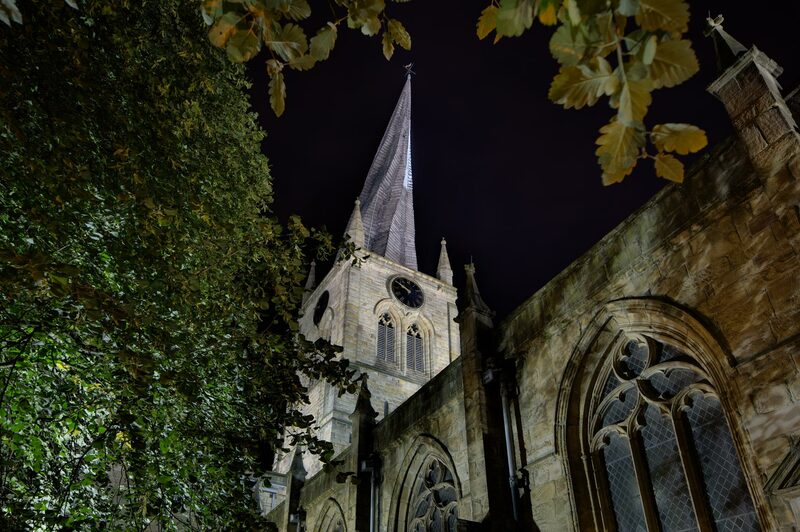 Construction began during the 13th century and there are some intriguing theories around why the spire warped. 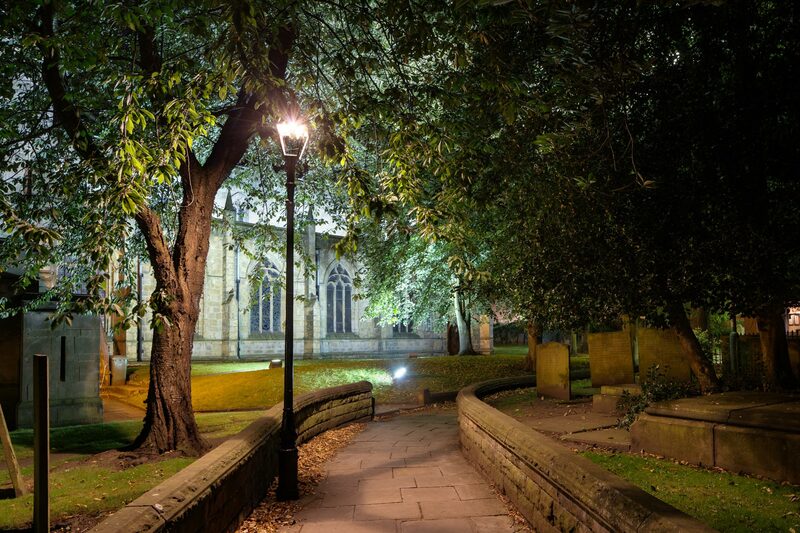 Path through the church yard. 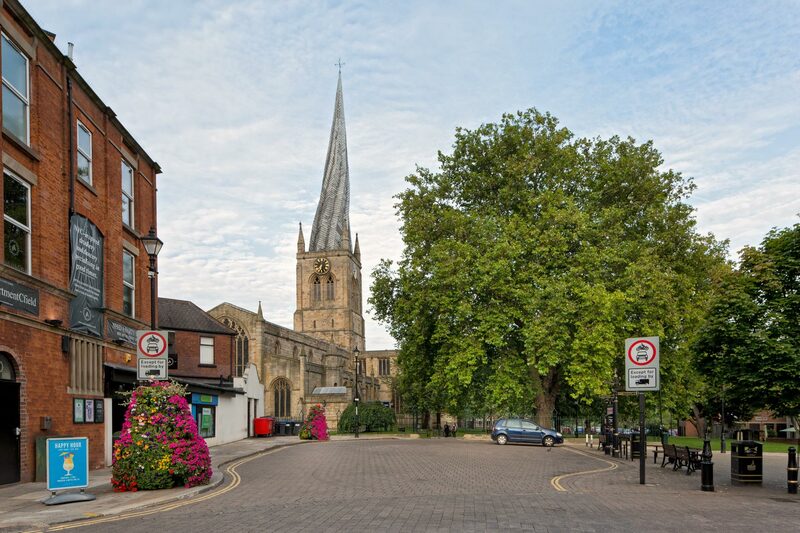 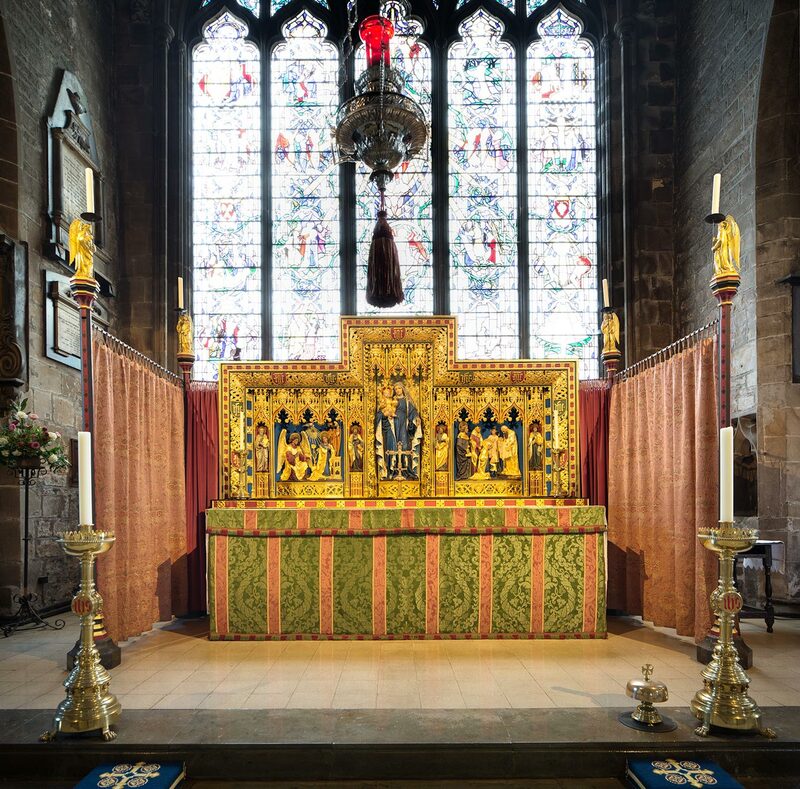 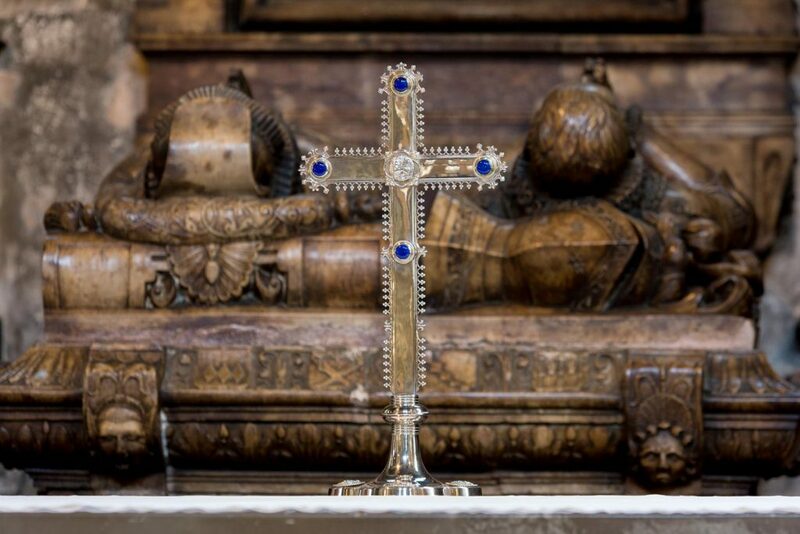 Located in the town center Saint Mary and All Saints church.